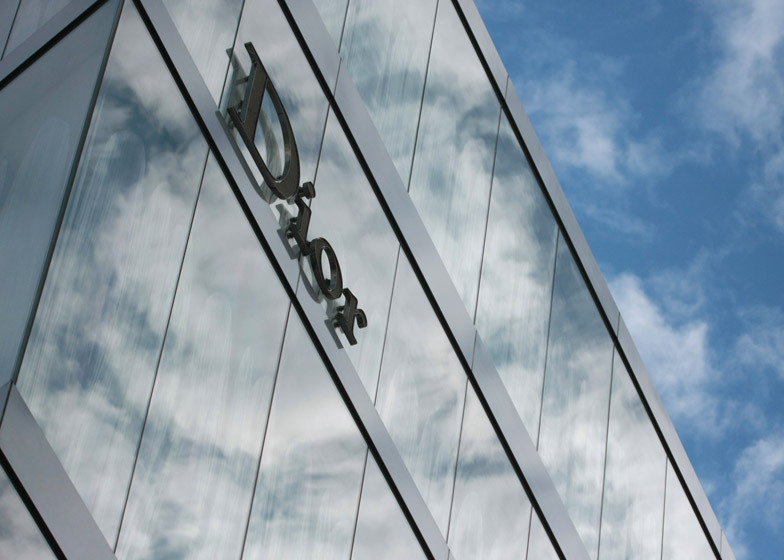 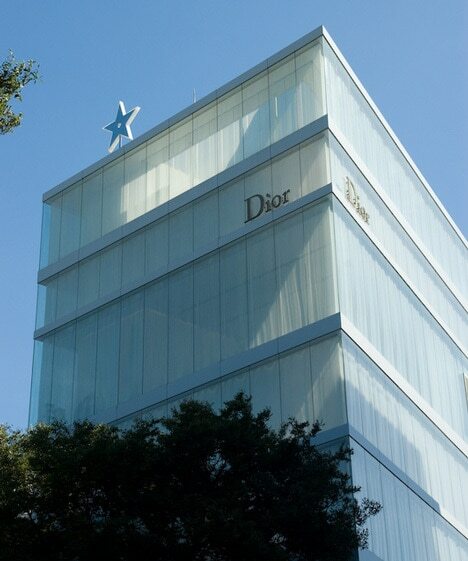 Modernization of Dior Omotesando store maintains the feminine and glamorous aesthetic. 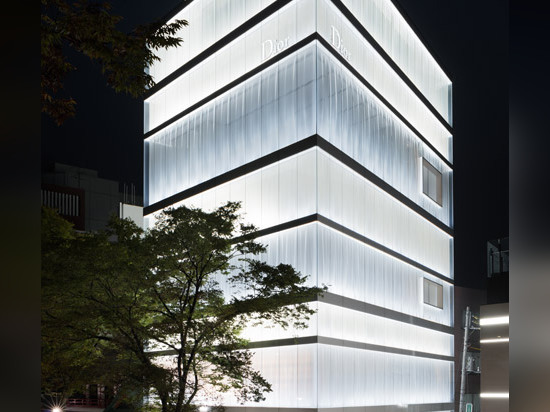 French fashion house Dior's flagship store in Tokyo by Japanese studio SANAA has had its interior overhauled by American architect Peter Marino. 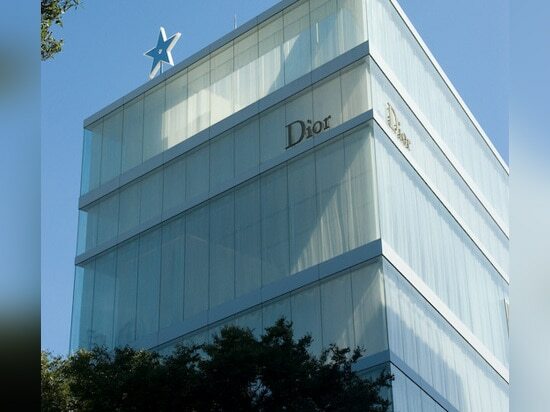 Designed by Pritzker Prize laureates SANAA in 2004, the Dior store is located on Tokyo's Omotesando avenue – also home to Herzog & de Meuron's 2003 Prada flagship, Toyo Ito's 2004 Tod's store and MVRDV's 2007 Gyre building among other fashion stores by notable architects. 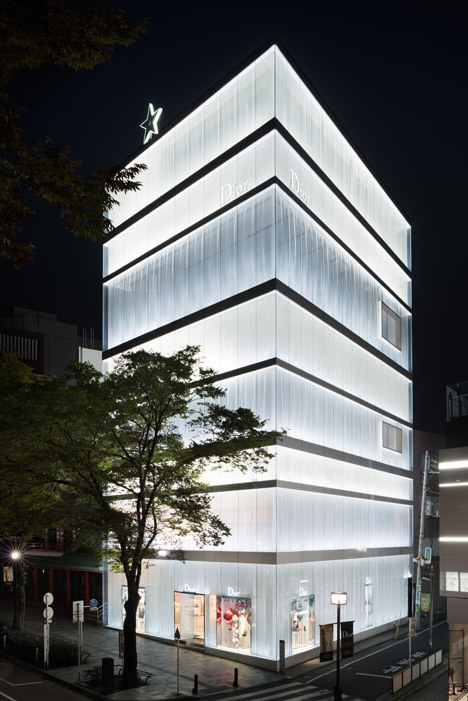 The building is surrounded by transparent glass walls set in front of a translucent wavy acrylic screen, sandwiched between horizontal white bands at unequal heights. 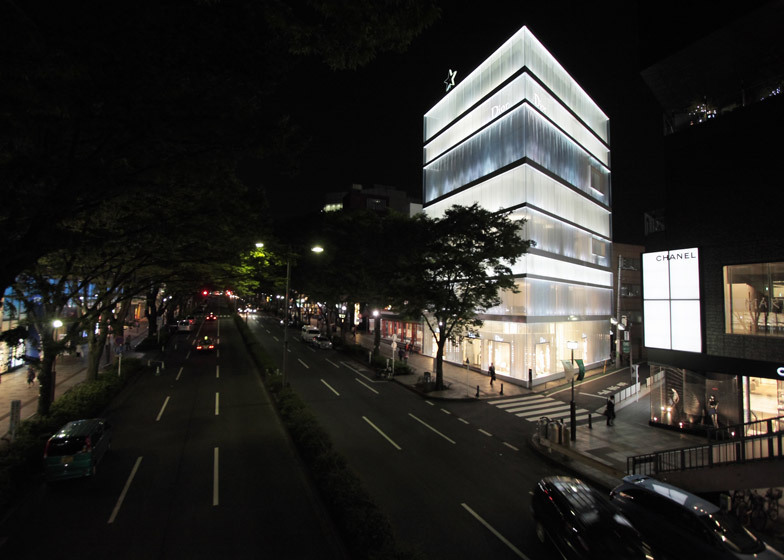 At night, the stacked layers of the 30-metre-tall design glow with different intensities. 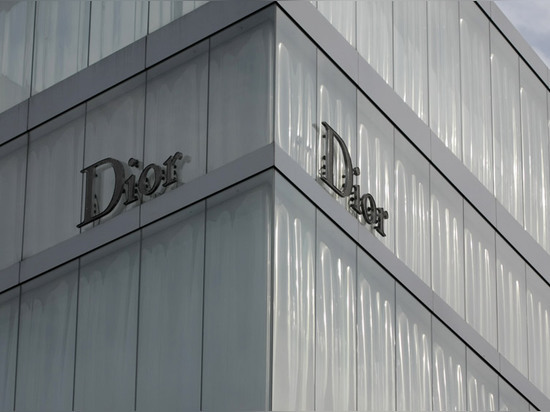 SANAA founders Kazuyo Sejima and Ryue Nishizawa, who are also responsible for the Louvre Lens gallery in France, were only tasked with creating the structural skin so Dior could chose its own interior designers. New York-based Peter Marino – whose luxury fashion client list includes Louis Vuitton, Armani and Chanel – hasn't touched the facades but redesigned the internal spaces as a "modernised" version of Dior's worldwide flagship on Avenue Montaigne in Paris. 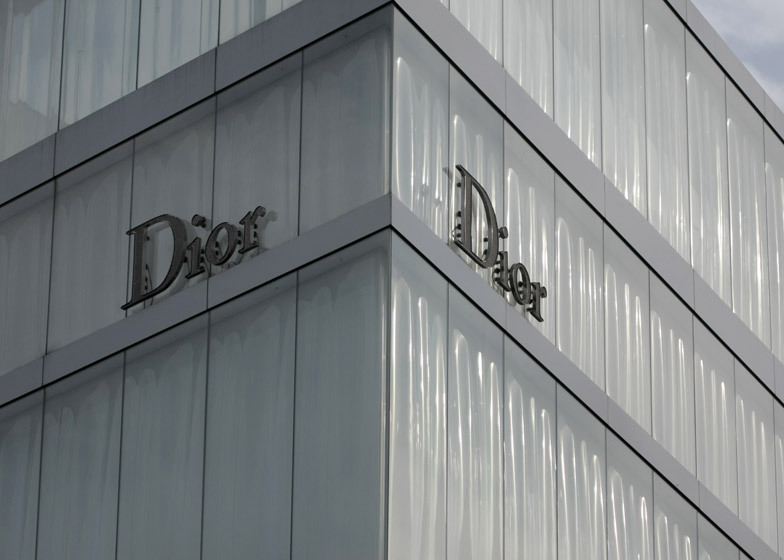 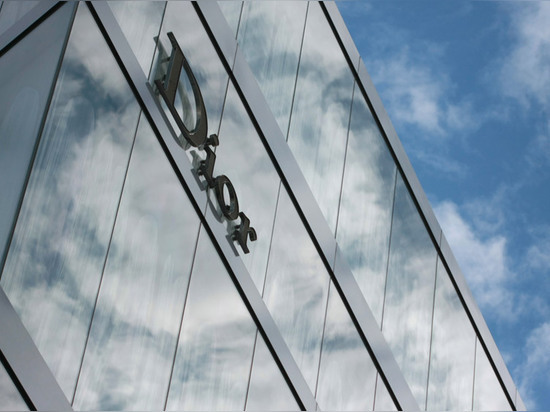 "The boutique embodies a lofty, contemporary atmosphere, while still maintaining the feminine and glamorous aesthetic that reflects the traditional elegance of the house of Dior," said a statement from the brand. 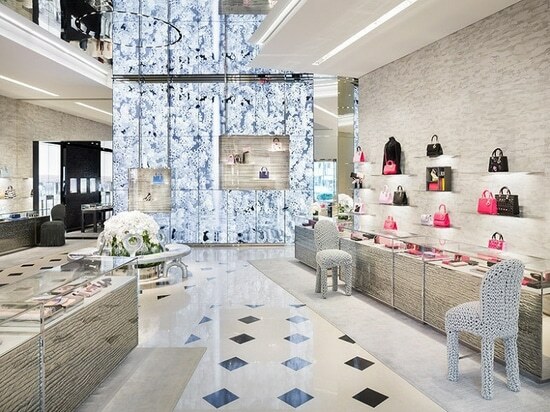 The ground floor, which showcases handbags, jewellery and watches, features a video art wall that plays films of flowers. 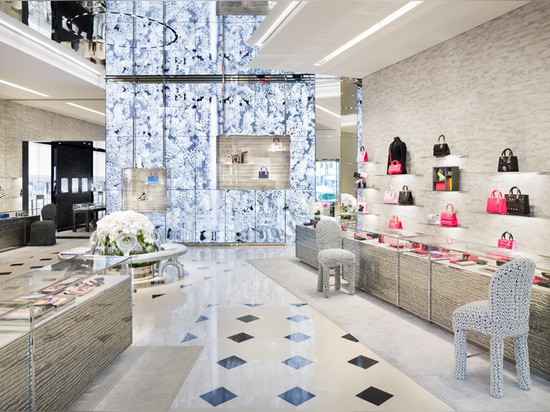 The ready-to-wear line is found on the open-plan first storey, which features a pale parquet and grey carpet floor. Womenswear and perfumes are located on the second floor, beneath an entirely mirrored ceiling that makes the space appear twice as tall. 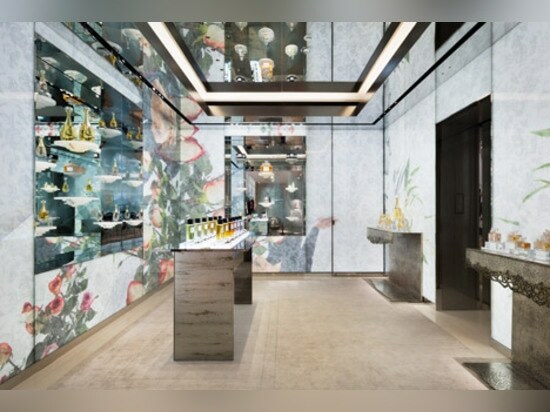 Shoes are presented on shelves that project from textured walls and reflective plinths dotted around the floor, while a curved upholstered seat offers shoppers a place to sit while trying on the footwear. 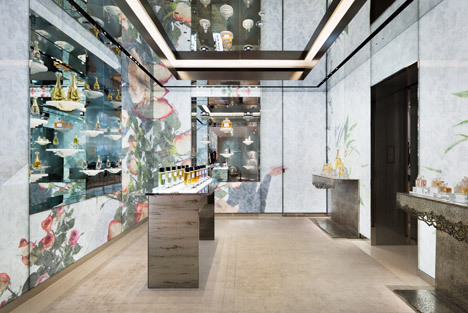 Fragrances have a dedicated space designed beside the lift, surrounded by floor-to-ceiling glass panels patterned with large floral prints by artist Tim Hailand. 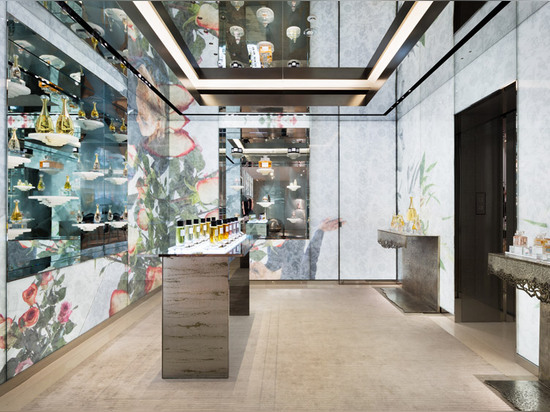 Other commissions for the store include a metallic seat by designer Johnny Swing and a centrepiece bench by sculptor Terence Main that encircles a bouquet of flowers. The Omotesando flagship also contains a Dior Homme boutique, which was redesigned last year and showcases the menswear line, accessories and watches.